Does Neo Bankside deserve to be on the Stirling Prize short list? Photo by Andy Worthington from the Londonist Flickr pool. ...While designs for a potential new Scalextric-style footbridge in Battersea have been tweaked for public perusal. 70 firefighters were needed to tackle a huge blaze in Enfield. Four extra patients a day led to "crisis" in this North London hospital. Max Clifford goes on trial in London for sexual assault. ...As other renters head out to the suburbs. Is there a conspiracy to flush the poor out of the city? Jeremy Corbyn thinks so. A nasty weapons stash of 62 knives was found by police in west London. 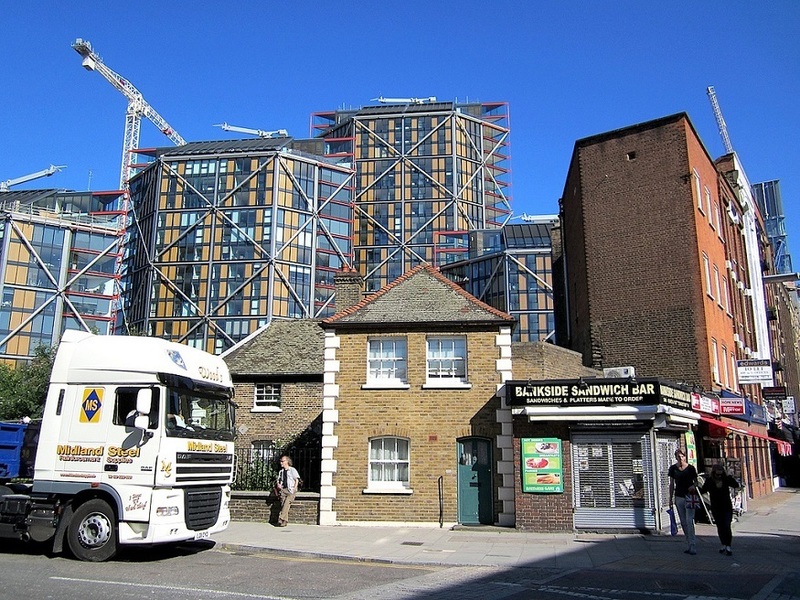 Campaigners won't give up on Norton Folgate. It's the lack of joined-up thinking that makes tube WiFi exasperating. Wow: a comfortable night's sleep in London for just £5? Yes, it is too good to be true.